I been reading like mad since August 1, done with several required-reading projects and enjoying the chance to read serendipitously. I always have a folder filled with clipped reviews and handwritten notes about must-read books, reminders of favorite authors that I want to read more of, and recommendations from friends and colleagues. I’ve also been listening to audiobooks on my tiny MP3 player when I walk in the early morning, in my car through a nifty cassette player adapter, or when doing mindless work around the kitchen. As always, books remind me of other books–fiction crosses over to nonfiction and I remember books read years ago. Mandelman’s a terrific writer–tough-minded and good at creating tension and the expectation of violence. I discovered Mandelman several years ago when I was on the first Sophie Brody Medal selection committee and we chose his short story collection Talking with the Enemy for the prize. The first story in that collection was a perfect thriller, a little gem, and I was hooked. 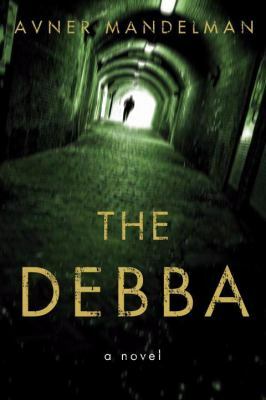 This new novel is also a thriller, and a mystery too, filled with twists and turns, enigmatic characters, and overlaid with the powerful myth of a shape-changing creature–the Debba–a hyena who can rise up and walk like a man. The novel is set in Israel, told in the first person by David Starkman, who returns from self-imposed exile in Canada to investigate his father’s brutal murder. Nothing is quite what it seems: art and politics mix in strange and wonderful ways, an old love is revived, and the mystery of the Debba’s identity is dangled before the reader until the end. Of course the story also concerns itself with the contradictions and paradoxes of Israeli history and politics–all in all a very satisfying and thought-provoking tale. In The Debba, David stages a play written years earlier by his father, an incendiary play that is catastrophic for the people involved. It made me think about another novel where art (in this case music) and politics mix in incendiary ways–Appassionata, by Eva Hoffman, about a musician who gets caught up with a man who either a terrorist or a freedom fighter and the effect of their affair on her life. It’s another excellent and thought-provoking story. This entry was posted in Fiction, Israel. Bookmark the permalink.